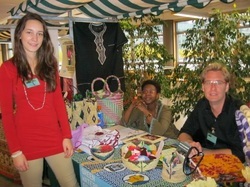 For the second time since the establishment of Green Waters Foundation in 2007, we were happy to join other NGO’s within Netherlands to celebrate and participate at Africa day event, organized by Stichting Evert Vermeer. The event takes place once a year. Currently Green Waters Foundation is running two projects and is at the beginning of establishing the third. Project MIKITA (Mitindo ya Kimataifa Tanzania) was first implemented in 2009. This is a project that assist vulnerable women in different areas of Tanzania, to learn marketable skills at vocational training colleges within the country. 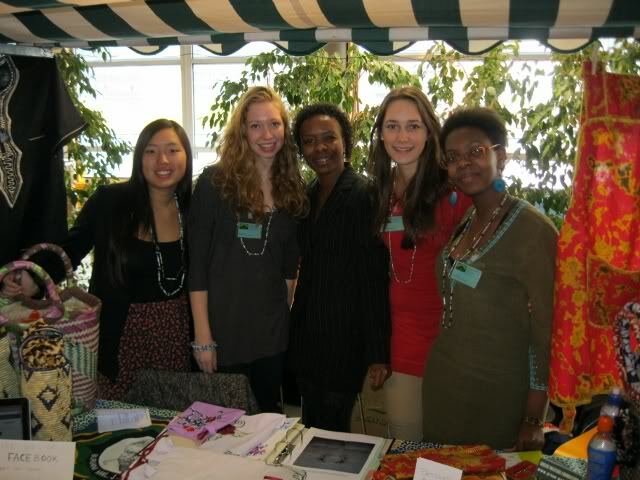 The skills include tailoring, knitting, making tie & dye, weaving, making fashion accessories and others. Project W.I.F.E.S (Winning Initiatives For Environmental Sustainability) was first implemented in 2010. The long term aim is to raise awareness about local and global environmental problems as well as to teach different target groups about the different actions they can take to reduce their ecological footprint. 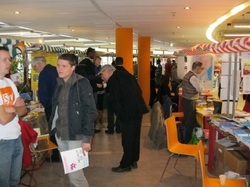 The first initiative under this project is creative recycling of household materials. We work together with local artists to develop workshops that are suitable to the target groups. Under this project the target groups have learnt how to creatively recycle paper, glass, old clothes, old dishes and other materials. Project CHANCE is a secondary school scholarship for orphans and children from low income families. Currently we are building partnerships for the purpose of implementing this third project. The long term goal of CHANCE is to create a society with a high percentage of literacy that understands the link of social, economic and environmental issues. This means we aim to enable a generation of segregated young people to gain abilities for working with the system and implementing sustainable solutions to the existing social, economic and environmental problems. 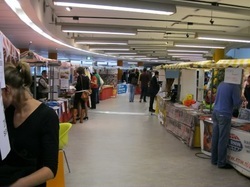 During Africa day event this year, the team of Green Waters was able to give information about our projects to other governmental and non-organizations as well as visitors. 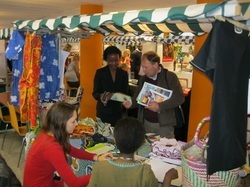 We were also able to show some of the sample products that have been made by women from Tanzania under project MIKITA, as well as some of the creatively recycled products that have been made by women in Rotterdam. For information about potential partnerships with Green Waters, contact us directly at greenwaters@green-waters.org or partnership@green-waters.org. We would like to thank all Green Waters target groups, team members, organization partners, families and friends, for making our projects a possibility.